Memories of the Black Country’s greatest sportsman, Duncan Edwards, were shared at the opening of a room in his name at the Copthorne Hotel Merry Hill Dudley. Seventy guests included Edwards family members, former team-mates from his youth, West Bromwich Albion’s FA Cup winning captain Graham Williams and the Mayor of Dudley, Councillor Alan Taylor. The Mayor of Dudley Councillor Alan Taylor, Copthorne Hotel general manager Stuart Fleming and Duncan Edwards Tribute chairman Jim Cadman. Photo by Jonathan Hipkiss. 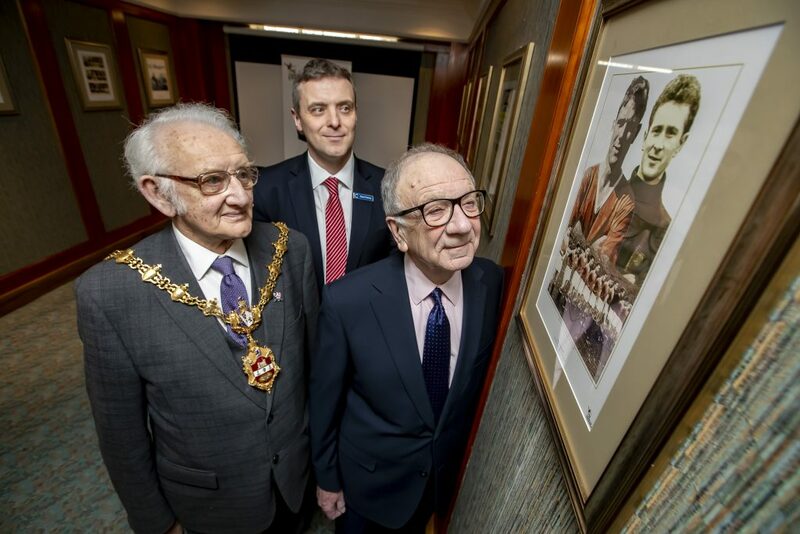 Duncan Edwards Tribute chairman Jim Cadman and the hotel’s general manager Stuart Fleming spoke about the importance of preserving the former Manchester United and England player’s legacy in his home town of Dudley and beyond. Mr Cadman said: “This is a very big step forward in making sure the heritage of Duncan Edwards is passed on to a new generation. Mayor of Dudley, Alan Taylor, added “A lot of football fans will know that Duncan played for Man Utd and England but may not be familiar with the story of his childhood right here in the Black Country and how this region shaped him. The Copthorne Hotel will also be hosting the second annual Duncan Edwards tribute dinner on Thursday, September 19. This event has had extensive coverage in West Midlands media including Black Country Live, Express & Star and Dudley News.